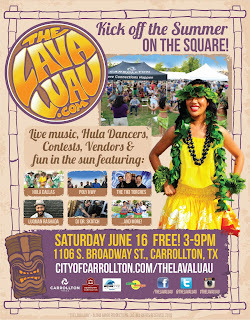 "Join the 3rd annual Lava Luau in Downtown Carrollton Texas. The luau hosted over 1000 attendees in June of last year. 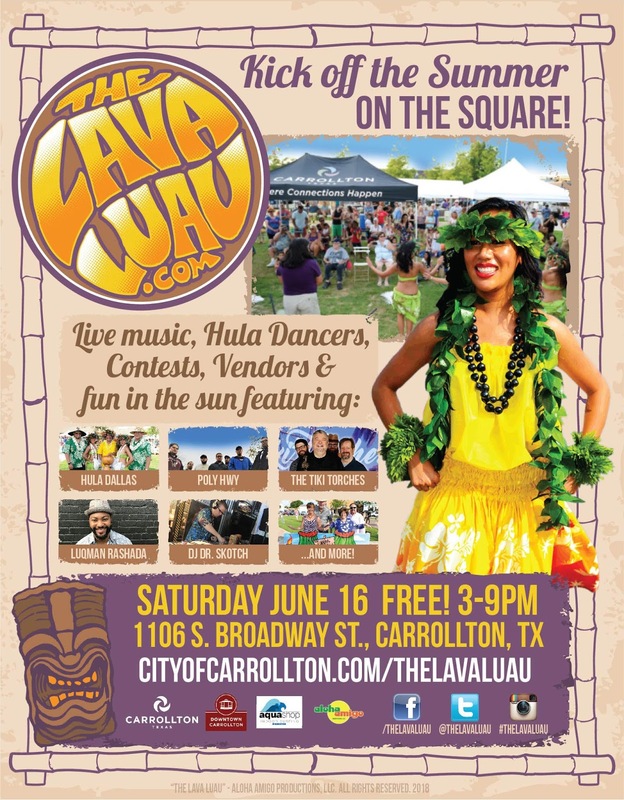 Local artisans, crafters and retailers are invited to connect to DFW metroplex buyers and their families, all set in a fun, summertime Hawaiian environment!" "HUGE Indoor Craft show and Vendor event. Live Music. Food Trucks. FREE to Attend! FREE Parking"